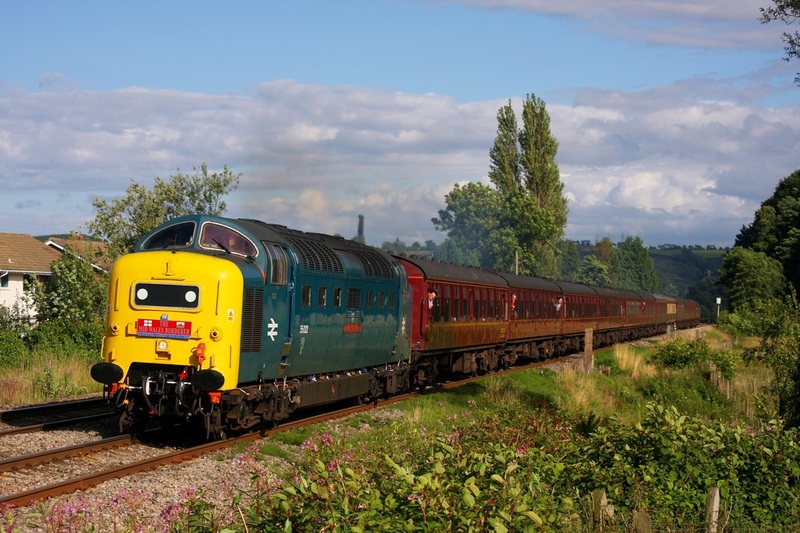 55022 on the 1Z57 Cardiff to Blackpool North at Ponthir on the 19th July 2008. 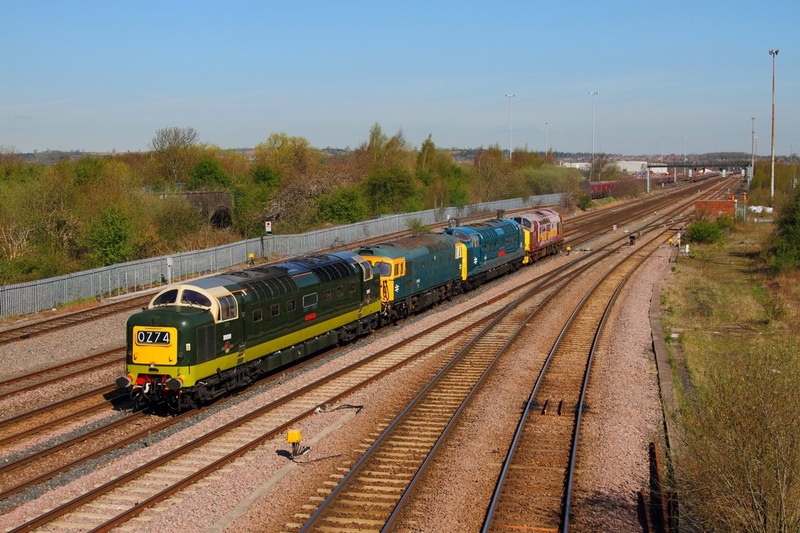 Br Two Tone Green D9009 leads Br Blue 33108, 55019 and EWS liveried 37521 at Toton whilst working as the 0Z74 Barrow Hill to Lydney (to pick up 31466 from the Dean Forest Railway). 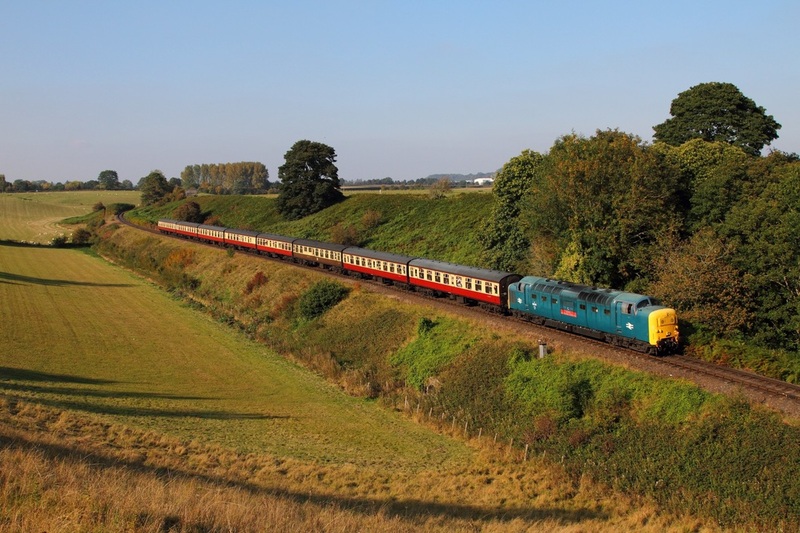 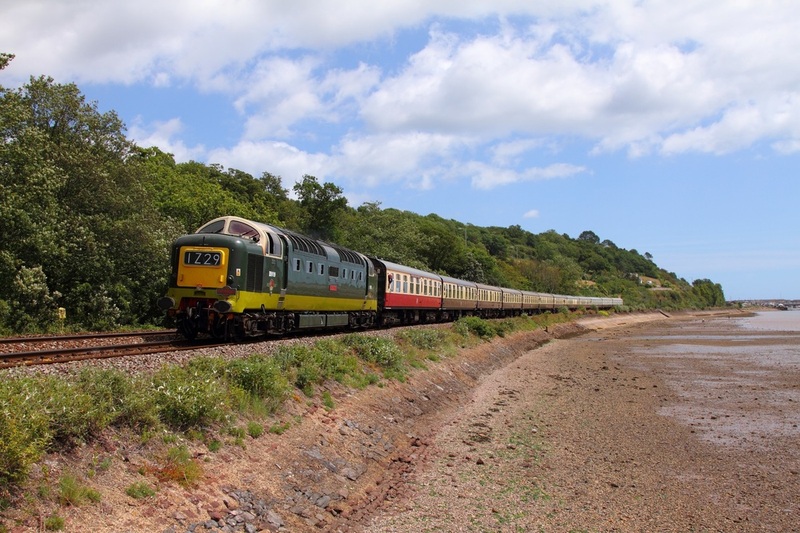 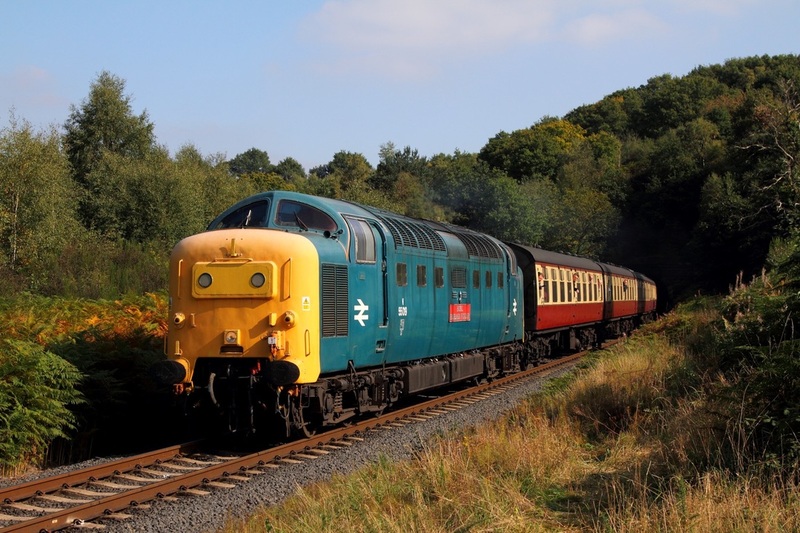 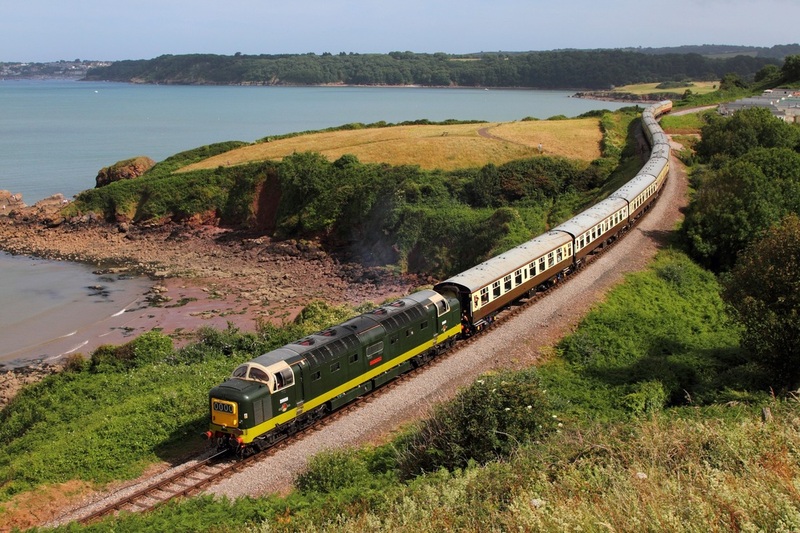 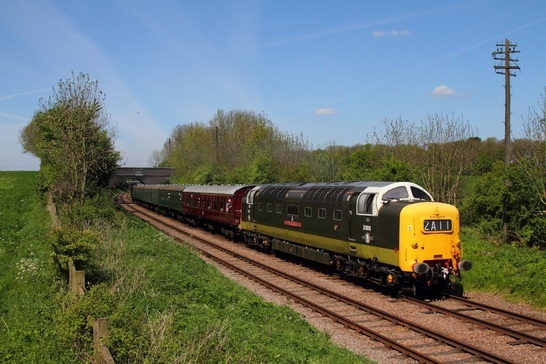 The locos are on route to the Isle of Purbeck for the Swanage gala commencing on the 10th-12th May. 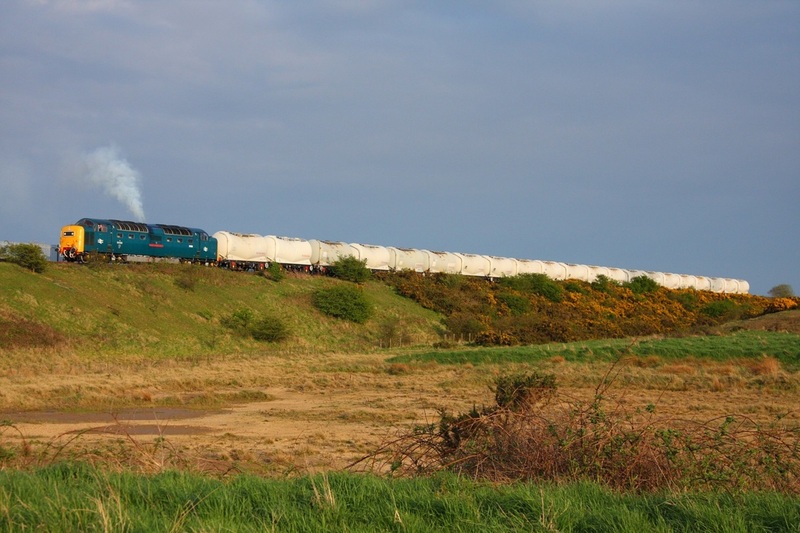 On the 30th May 2011, 55022 hauled the 6E45 Fort William to North Blyth (as far as Mossend) consisting of 12 alcan hoppers. 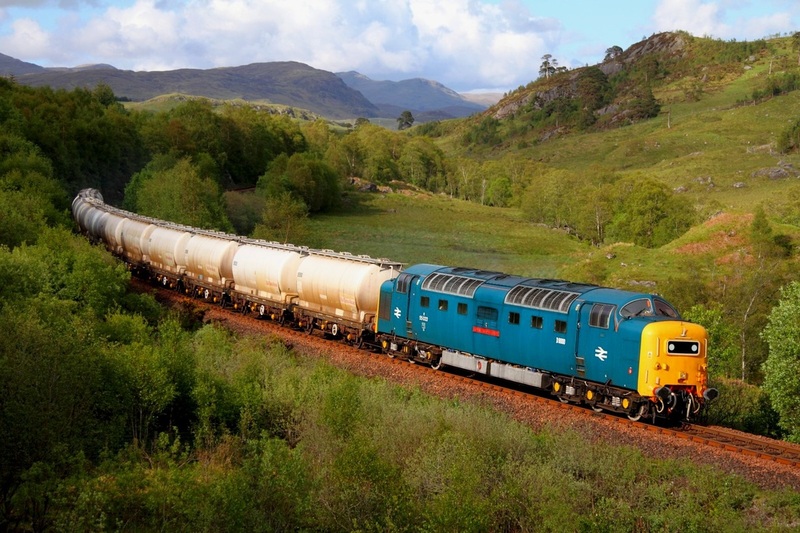 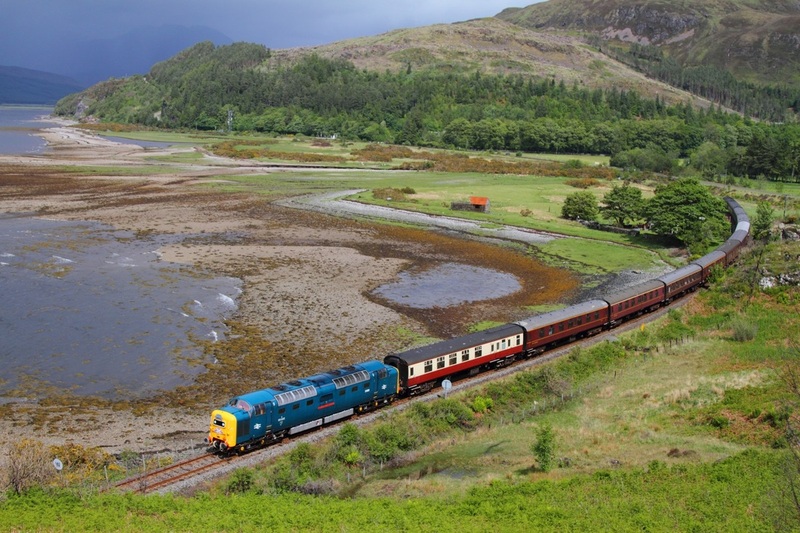 The bizzare sight is illustrated at Glen Falloch just south of Crianlarich.